Malcolm Kyle Preston Logan Saint from Manwhore +1 by Katy Evans is still very controlled, but we get to know and understand the man so much more in this second book. I love the ways that Katy describes him…the visuals I get are just yummy, but my personal favorite thing is his green eyes. I swear I can see them myself. Mmmm! Dibs, dibs, dibs! 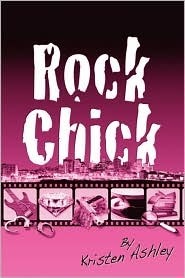 Last night I started a reread of Rock Chick by Kristen Ashley, and I fell in love with Lee Nightingale all over again. He’s such a badass, and I mean that in the best way possible. He’s also super hot! With 8 books in the series there’s a lot of book boyfriends to love and adore and each one will steal your heart, but Lee remains one of my top 3 favorites. I rolled to my back and pulled the sheet to my waist. Before speaking again, Lee waited several seconds that can only be described as ‘loaded silence’. While this silence was going on, he pulled the sheet back down. I went up on my forearm. Hearts and flowers! As if! I was a Rock Chick! “I do not!” I snapped. So, who have you been in bed with that I should know about? This entry was posted in Adult Romance, Badass, Book Crushes, Book Recommendation, Books, Favorite Authors, Katy Evans, Kristen Ashley, Sundays In Bed With... and tagged Adult Romance, Badass, Book Crushes, Book Recommendation, Books, favorite authors, Katy Evans, Kristen Ashley, Sundays In Bed With…. Was with Saint on the beach today in Delaware! Loved the first book and am loving +1! Just started +1. I’ve been counting the days to the release, ever since I read the first book. In my mind Malcolm is Liam Hemsworth. Chiseled and sculpted. Yum. I haven’t read rock chick, but I just might add it to my ever growing To-read list.